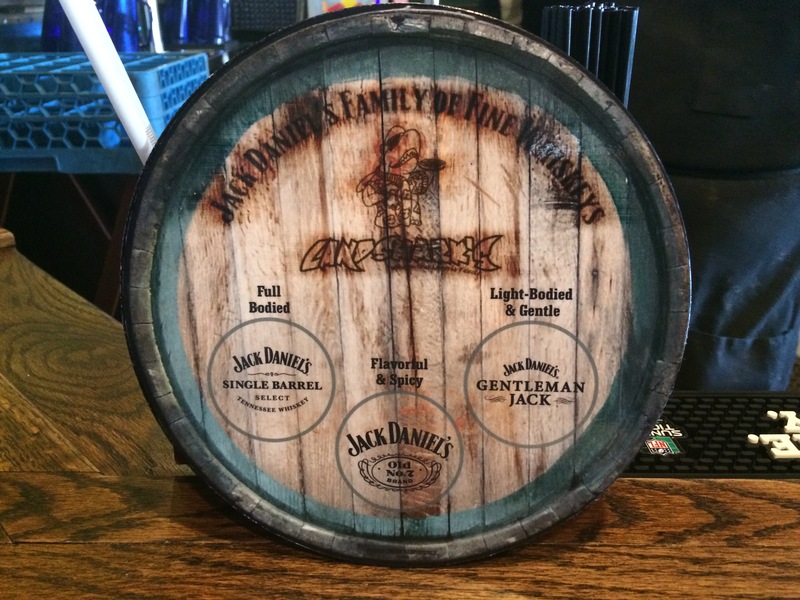 / BBQ / NCAA TOURNAMENT SWEET 16 & BEST TRADITIONAL BBQ only $6.99|Major League Baseball! 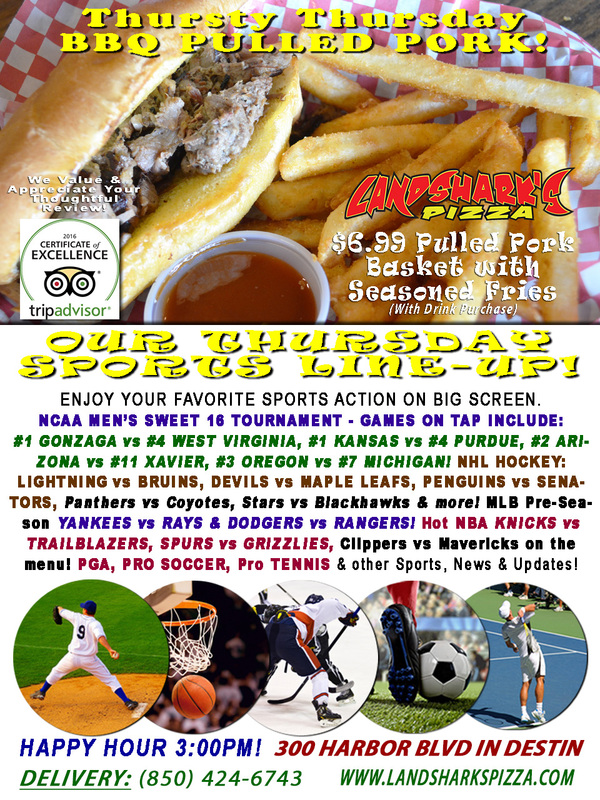 NCAA TOURNAMENT SWEET 16 & BEST TRADITIONAL BBQ only $6.99|Major League Baseball! Congratulations to team USA on our first ever World Baseball Classic Championship victory after beating Puerto Rico! Let’s kick the weekend off early with the SWEET 16, Major League Baseball & winning BBQ – slowly smoked, tender, juicy & delicious FALL-OFF-THE-BONE PULLED PORK basket with Succulent Seasoned Fries – Just $6.99 (dine-in with drink purchase)! 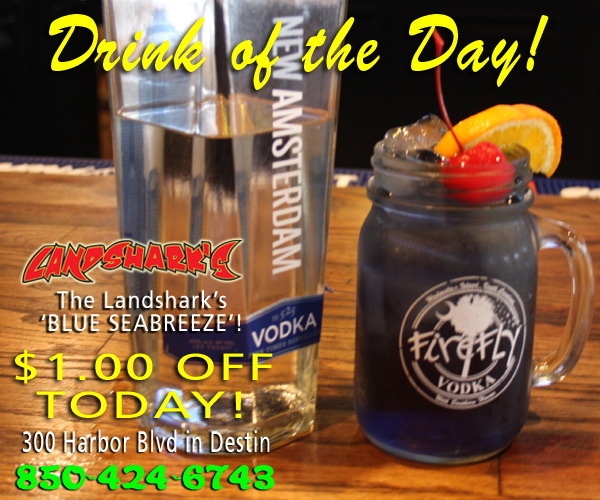 TODAY’S THE LANDSHARK’S DRINK OF THE DAY $1.00 OFF ALL DAY – Warmer temps mean you need to cool off with our BLUE SEA BREEZE COCKTAIL! EVEN MORE SPORTS: PGA TOUR Golf’s World Championships Match Play (Austin, TX) & the Puerto Rico Open. NHL HOCKEY hugging it out Tampa Bay LIGHTNING vs Boston BRUINS, DEVILS vs MAPLE LEAFS, PENGUINS vs SENATORS, Panthers vs Coyotes, Flyers vs Wild, Stars vs Blackhawks & more on tap! MLB Pre-Season Baseball YANKEES vs RAYS & DODGERS vs RANGERS. Plus some NBA HOOPS with KNICKS vs TRAILBLAZERS, SPURS vs GRIZZLIES, Clippers vs Mavericks on the menu! Pro TENNIS from the ATP & WTA Miami Open. Also PRO SOCCER coverage plus plenty of other Sports Broadcasts, Sporting News, Analysis, and Commentary! College Hoops This Week: NCAAM Sweet 16 continues Friday. Pro Tennis This Week: ATP & WTA Miami Open (Tues 21st-Apr 2nd). 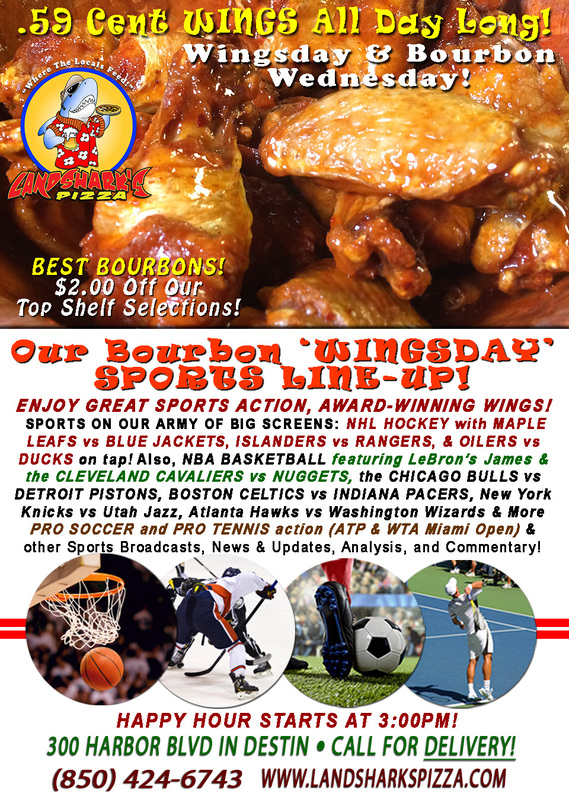 Previous Post: « WINGSDAY Award-Winning WINGS just .59¢ Ea., HEAVENLY WEATHER, & TOP SHELF BOURBON $2 Bucks Off!